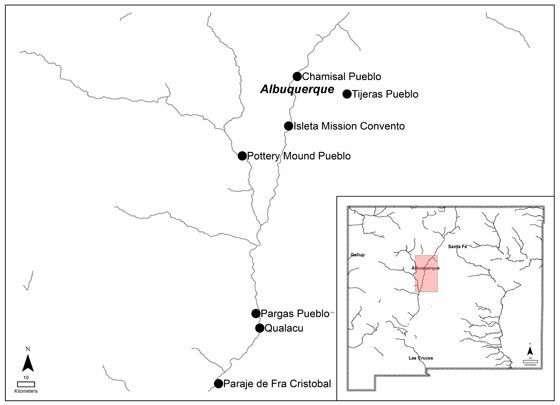 Spanish settlement of the Middle Rio Grande Valley in New Mexico changed the way people lived, but a new paper in the journal “The Holocene” by UNM Assistant Professor of Anthropology Emily Jones, suggests the change did not come quickly. 'The Columbian Exchange and landscapes of the Middle Rio Grande Valley, AD 1300-1900' is an examination of the impact of Spanish colonization including what people were eating, and an indication of what animals and plants were abundant in the area. 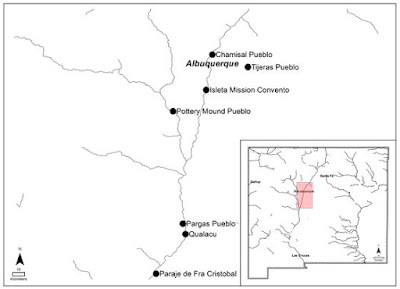 When the Spanish expeditions came to the Middle Rio Grande Valley in 1598 to establish residence, they found inhabited villages and long standing agricultural practices. The Spanish colonists brought seeds, plant cuttings and domestic livestock with them and use of the plants and animals were readily adopted by the Native Americans. But Jones says animal bones from archaeological sites suggest no immediate major impact on the landscape. Jones’ research focuses on the “Columbian Exchange” or the transformation of landscapes that came with contact between the old and new world. 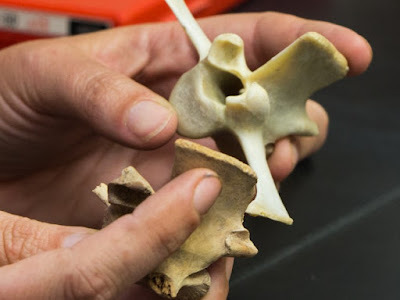 For this paper she examined archaeological faunal materials from a number of historic pueblos, missions and villages – essentially the bones left if the trash heaps to determine the animal portion of historic people’s diets. Jones found significant amounts of wild game (pronghorn, deer and rabbits) alongside domestic animals up through the late 19th century, suggesting hunting was a major part of life through that time. The date on mammals have implications about how vegetation may have changed with Spanish colonization. There has been some debate as to when overgrazing became a problem in the Middle Rio Grande Valley – whether it occurred soon after Spanish colonists brought sheet and cattle in 1598 or if livestock populations took some time to make an impact. Jones’ data may suggest that widespread overgrazing of the landscape did not occur until the time that rail travel brought many more people into the Middle Rio Grande Valley in the late 19th century – a time when other invasive species such as tumbleweeds also became a problem.